An essential tool in everyone’s shooting bag is not something that is as recognizable as a pair of shooting glasses, hearing protection, or ammunition. Whether you are young or old, a beginner or a veteran, somewhere on your list of things to bring to your game should be both the desire and ability to learn. 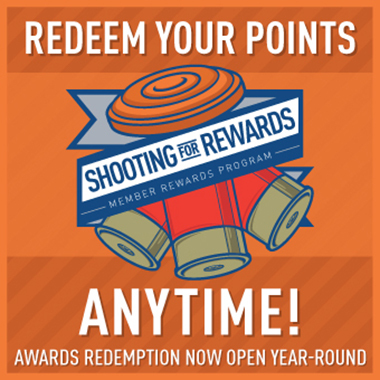 The National Sporting Clays Association Instructor Program has placed a high premium on the learning factor for both our instructors and their students. As we have emphasized in the past and continue to stress every day, we want both our members and our future members to participate in our sport as a safe way to have fun with a shotgun. To assist in the process, we have developed a continuing education program that will allow everyone who participates in the shooting sports the opportunity to learn to be better at their game. Instructors who have earned their Level I and Level II certificates have the chance to audit courses one step above their current level. Rather than pay the full price of a certification course, the Level I instructors auditing a Level II course are assessed a fee of only $40 per day to participate as a shooter and listen in on the course curriculum. Any Level II instructor interested in auditing a Level III course pays only $50 a day for a similar chance to observe and learn from members of our top team. This gives instructors with a desire to improve their skills and wanting to attain the knowledge necessary to better assist their students a taste of the learning apple at a bargain price. The auditing instructors are included in the shooting and classroom segments of the programs, where they are part of the information sharing and education experience. Unlike the students signed up for the full course, those who are auditing the class are exempt from the evaluation part of the program that determines who will earn the higher level certificate. This is a win-win situation for everyone involved, with a goal of improving the learning experience for both the course leaders and the participants interested in soaking up more shooting knowledge. Additional details about this continuing education program areÂ available by contacting Chief Instructor Don Currie at 407-697-6236 or at nsca@doncurrie.com.